Whether you are new to mindfulness or a seasoned veteran, the Mindful Pain Relief Method™ can help you immediately, and dramatically, manage your pain and improve your quality of life. As a woman in chronic pain, you need and deserve more than the typical health care system can provide. You need holistic mind-body care for optimal healing and lasting relief. Traditional medicine often requires you to see specialist after specialist, with no one provider treating you as a whole human being. When you work with me, we will explore every aspect of your physical, mental and emotional being and empower you to have control over your pain. How Is Dr. 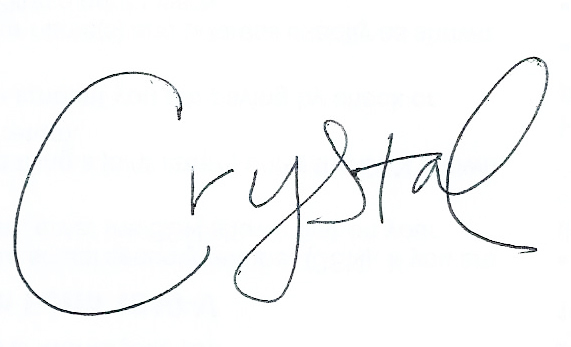 Crystal Frazee, PT Different? Of all the people involved in your healthcare, you are the most important. Not me. You. You must feel respected and heard. You deserve compassionate client centered care. That’s the type of care I offer. I practice integrative medicine. That means I see you as a whole person (physical, mental, and emotional), not just your symptoms or separate body parts. You will experience my personalized approach as we address your unique needs, challenges, and goals using a mind-body approach. You will be an active partner in your healing. Together we will activate your natural healing abilities, which are extraordinary and far more powerful than anything I can do “to” you. Your pain is a complex and individual experience. It starts in the brain and has an impact on your mind, body, and behavior. Lasting change starts with simple and effective techniques that you can start today. I bring over ten years of unique mind-body training and experience to help ease your pain. I integrate a broad based skillset to empower you to heal the root causes of suffering not just treat symptoms. By combining yoga therapy, health coaching, physical therapy, neuroscience, functional nutrition, integrative medicine, and mindfulness together, we will design an achievable path that delivers the results you desire. I’ve done the work to simplify the complex issues of holistic pain management so that you can focus on taking practical steps forward. The immediate and lasting relief you are seeking will happen from the inside out. Let me take your hand and guide you gently through the Mindful Pain Relief Method. I walk my talk. I have my own chronic pain journey that has challenged me to the core. I know the frustration and exhaustion it can cause. I know the feeling of lost time and connection with the people and activities I love. I’ve worked through my inner obstacles to making the lifestyle changes I knew needed to be made for self-healing to finally occur. I am prepared to lead by example, to inspire you to see your abilities and to cheer you every step of the way because I know that’s what it will take. If you have been struggling with pain for months, or years or the intensity of your pain feels overwhelming, schedule a free consultation with me now. Together we’ll discuss how I can help you ease your suffering now and improve your quality of life. While your condition may mean that some pain is inevitable, suffering is optional. You can train your mind to both decrease your pain and eliminate the suffering caused by pain. Let me show you what brain science has discovered about managing pain. Let me show you the simple daily techniques and lifestyle tweaks that can profoundly make your life better. You can schedule a call with me by clicking the blue button below. Just click the blue button below to schedule your free introductory call with me, Dr. Frazee. On the call you will learn at least one technique to immediately reduce your pain.